Network architecture will help you gain the technical leadership skills you need to design and implement high-quality networks. A network architecture is a blueprint of the complete computer communication network, which provides a framework and technology foundation for designing, building and managing a communication network. It typically has a layered structure. Layering is a modern network design principle which divides the communication tasks into a number of smaller parts, each part accomplishing a particular sub-task and interacting with the other parts in a small number of well-defined ways. Layering allows the parts of a communication to be designed and tested without a combinatorial explosion of cases, keeping each design relatively simple. If a network architecture diagram is open, no single vendor owns the technology and controls its definition and development. Anyone is free to design hardware and software based on the network architecture. 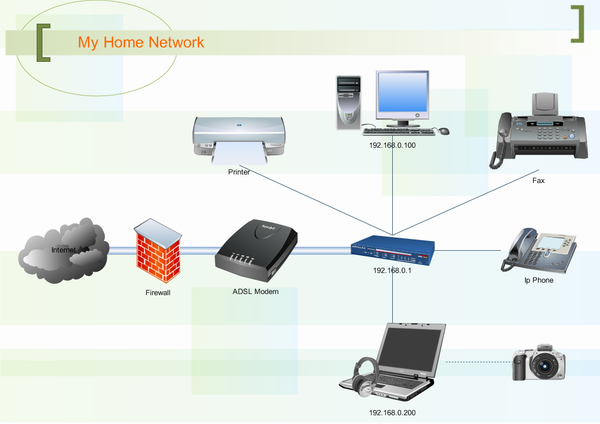 The TCP/IP network architecture, which the Internet is based on, is such an open network architecture and it is adopted as a worldwide network standard and widely deployed in local area network (LAN), wide area network (WAN), small and large enterprises, and last but not least, the Internet. Open Systems Interconnection (OSI) network architecture, developed by International Organization for Standardization, is an open standard for communication in the network across different equipment and applications by different vendors. Though not widely deployed, the OSI 7 layer model is considered as the primary network architectural model for inter-computing and inter-networking communications. In addition to the OSI network architecture model, there exist other network architecture models by many vendors, such as IBM SNA (Systems Network Architecture), Digital Equipment Corporation (DEC; now part of HP) DNA (Digital Network Architecture), Apple computer's AppleTalk, and Novell's NetWare. Network architecture provides only a conceptual framework for communications between computers. The model itself does not provide specific methods of communication. Actual communication is defined by various communication protocols.